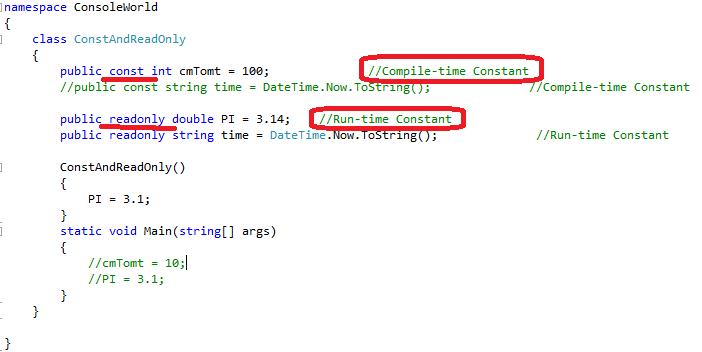 They are Compile-Time constant means always constant. They are Run-time constant. value can be set at declaration only. value can be set at declaration or in Constructor. Value Type:- “==” & Equal() method usually compare object by value. Reference Type:- “==” compares whether both the reference point to same object. Equal() returns true if value at reference point to the object are equivalent. 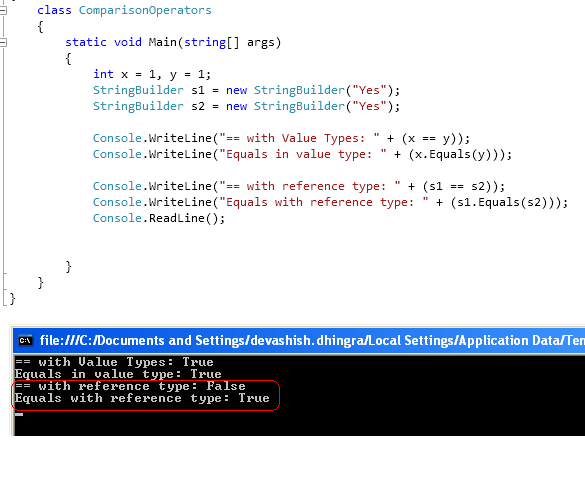 there is an exception here for string that “==” compares value rather then object identity. In the below example:- for value type is obvious, but for reference types s1 & s2 are different objects so it will return false where as both of objects are equivalent so it will return true. 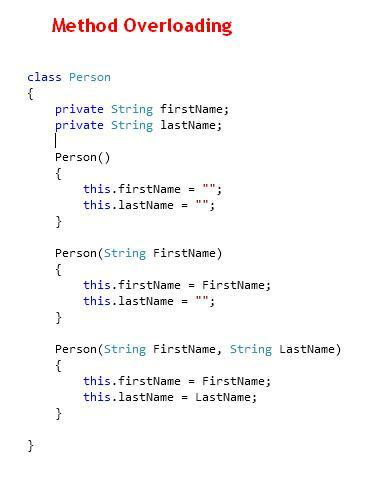 Create an instance of the class. Refer any of the static methods of the class. Polymorphism means same operation can be defined in multiple forms. It means having two or more methods having same name but different signature. -the methods can be in the same class or different class (inherited). -constructor overloading is also possible. -it is not mandatory to have different return type, but either the number of parameters or parameters type should be different. Two or more methods with same signature but different implementation but in different class (base & inherited). 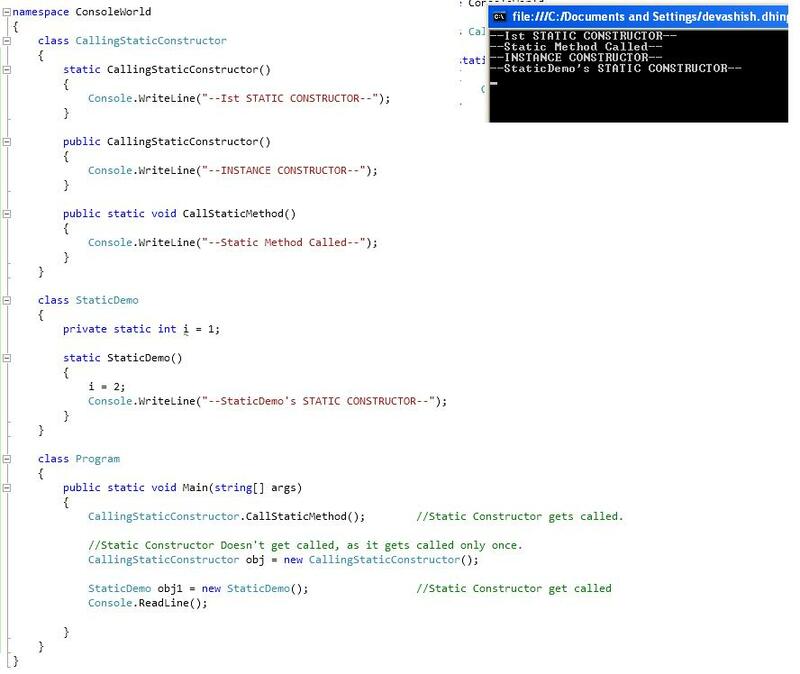 Yes we can have constructor in Abstract class (though we can’t still create object of abstract class). Because :- this way you can instantiate the data in abstract class. And inherited classes can call the base constructor. 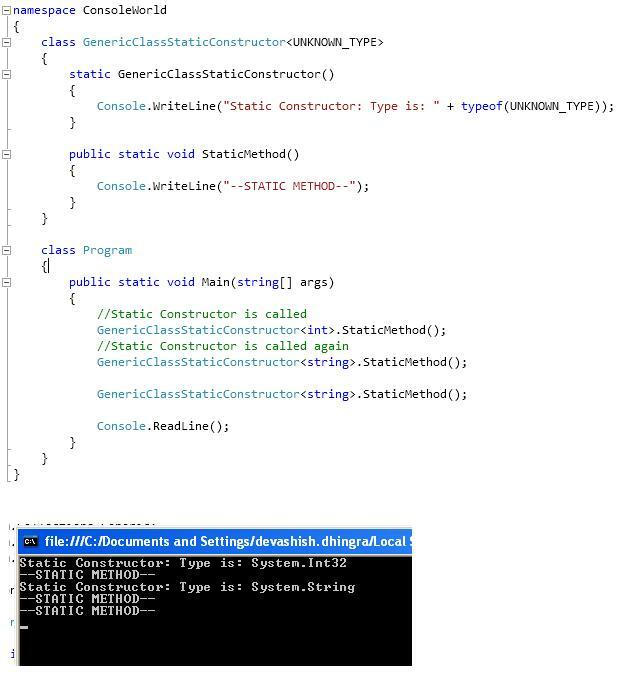 NOTE:- As you can’t override constructor, so we can’t have abstract constructor.